USB-C You can charge the B60 with the same cable you use for everything else. Comfort The uniquely-shaped silicone tips are supremely comfortable. Price These guys are just 60 bucks. Build and materials These guys are just 60 bucks — and they feel like it. Middling sound quality The B60 don't sound bad, but you're not getting a premium audio experience. No aptX here. In photos — and in person, from about a foot or more away — the B60 look pretty nice, with an understated design and uniform matte grey finish. But up close, their budget-ness becomes apparent: they're made of cheap-feeling, rubbery plastic, and the cable kinks in weird ways. That chintzy feeling extends to the included accessories: a USB-A to USB-C charging cable, and a rubber carrying case that looks sort of like one of those squeeze-to-open coin purses. There's not much here that'll wow you as you unbox. What the B60 lack in polish, though, they make up for in functionality. There are two magnets in the headset, one in each bud, that stick together to form a loop around your neck when you're not listening to music. That's not an uncommon feature in earbuds like these, but here, there's a twist: rather than pausing media playback, snapping the two buds together powers them off completely. Pulling them apart will turn them on and tell them to reconnect to your phone. This makes pairing the B60 for the first time a little awkward — you have to pull them out of the box, stick the two ends together, then pull them apart again to initiate pairing — but once you're over that hurdle, using them is a pleasure. 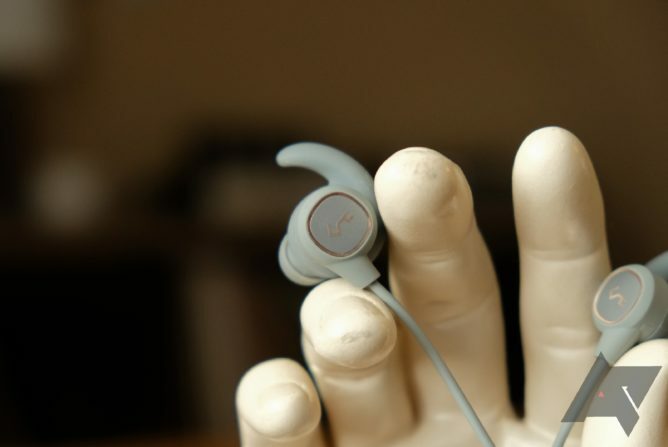 The headset will be on and connected by the time you pick up your phone, no button-presses required. The only port I want to see. 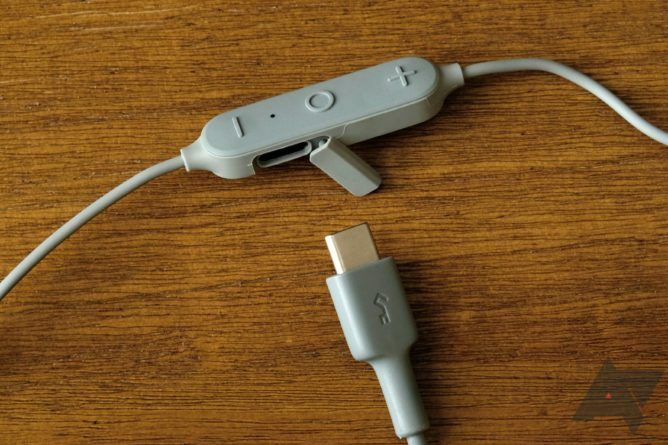 Charging is similarly painless, owing to the inclusion of a USB-C port on the earbuds' inline remote. To preserve their IPX6 water resistance, that port is hidden under a plastic flap that feels worryingly flimsy. After a few dozen openings and closings, though, it doesn't seem any closer to breaking off than it did to begin with. 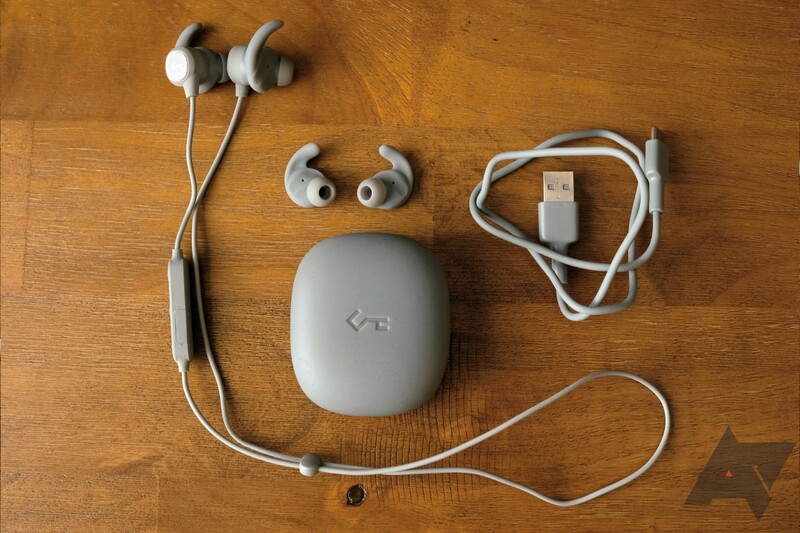 There are two sets of silicone earbud tips included, labeled S and M (I guess people with large ear canals are out of luck), with in-ear tips and stabilizing fins combined into single pieces. I've given Jaybird flack for similar designs — there are more possible fits when the two are discrete parts — but by comparison, Aukey's take is incredibly comfortable and creates a better seal, blocking out more ambient noise. The B60 sound fine. In a blind test, you probably wouldn't mistake them for a pair that costs twice as much, but bass in particular is surprisingly pronounced. Consequently, there's a satisfying fullness to music; everything I listened to, from lo-fi indie rock to slickly-produced pop and hip hop, had a pleasant warm quality. High tones suffer a little, though, and come across a little claustrophobic. The carrying case is a lint magnet. While there's no support for the desirable aptX codec, latency is near non-existent, with no lip sync issues while watching video. Call quality's okay, too. Callers said I was easy enough to hear, but a little muffled (one said it sounded like I was "in a box"). Yep! The B60 won't please an audiophile, but it's hard to imagine any $60 headphones would. 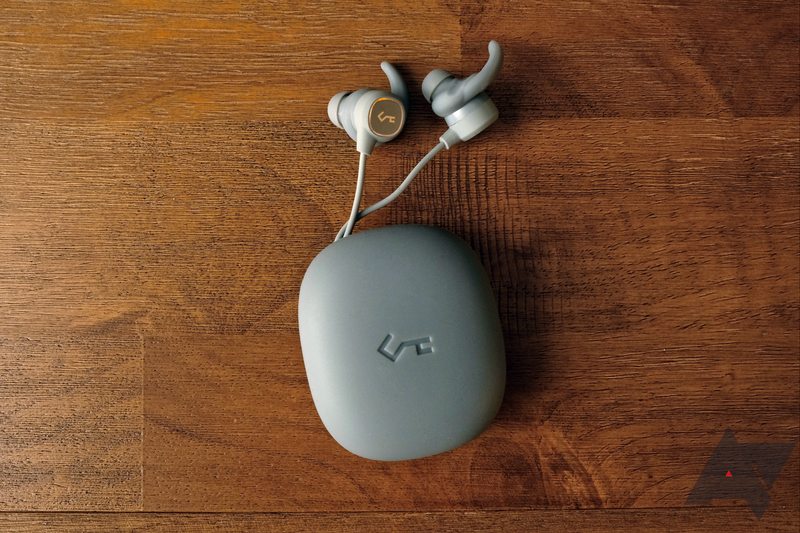 With how rare it still is in earbuds, USB-C charging alone is reason enough to pick a pair up — but you're also getting an extremely comfortable fit, Bluetooth 5.0, IPX6 water resistance, and a seamless user experience. Battery life is nice, too; I saw just over seven hours' playback at varying volumes on a full charge (of Aukey's advertised eight). 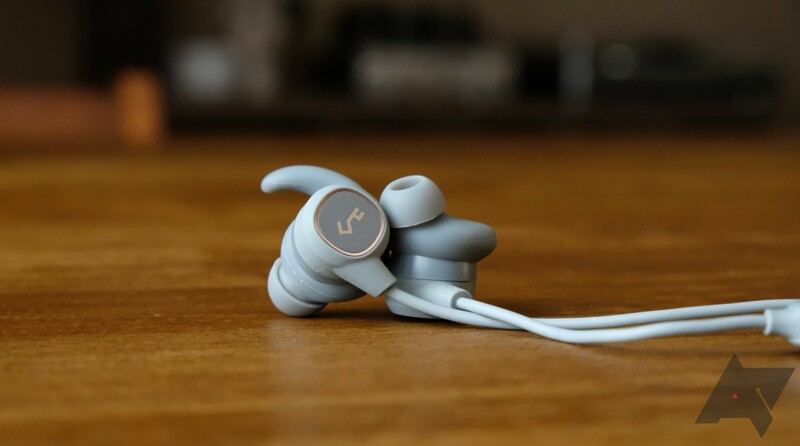 If I had 60 bucks to spend on earbuds, these would be the ones — and if you're buying before February 5, you can get them for even less. You're on a budget but comfort and ease of use are your top priorities. Middling sound quality or budget build quality will drive you nuts.